Want to be a girl pizza delivery rider or a girl cargo transporter on fastest moto bike? Then play this one of the best food game for girls and become a pizza delivery girl in pizza delivery games. Food games 2019 were never been so awesome. 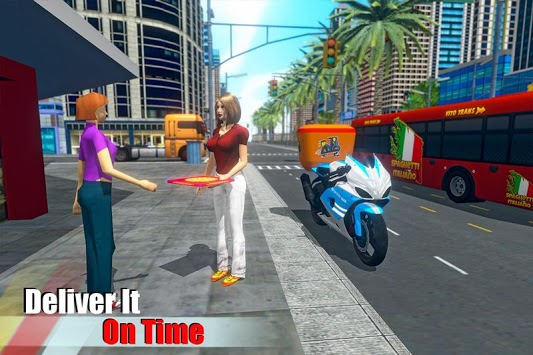 Play this top restaurant game and start your cooking day as pizzeria girl in Moto Bike Pizza Delivery 2019 – Girl Food Game. This pizza delivery with driving simulator is specially made for food and cooking lover girls. 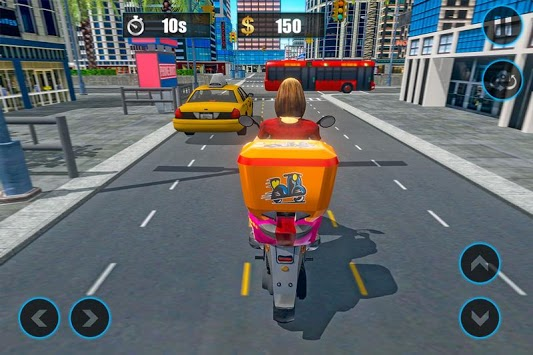 In this exciting pizza delivery driving game enjoy many delivery motorcycle models and various modes of girl restaurant gameplay. Bring out the crazy cook inside you and become the top chef. Discover a diverse range of quality hot food for lunch or dinner with a mix of burgers 🍔, Italian pizzas 🍕, fish n chips and different kinds of steaks. Start your fast food delivery and cooking day with this -top restaurant game. Show your special cooking skills and amaze the customers with your latest food dishes in Restaurant Kitchen Game. Your pizza delivery driver adventure begins now for lunch and dinner! Driving & parking a varied bike selection you will complete pizza delivery bike challenges, deliver pizza orders and take part in superb races in a beautiful city. This is the ultimate simulator experience for girl motor bike rider fans that are looking for something new and different from other racing games and pizza delivery games. 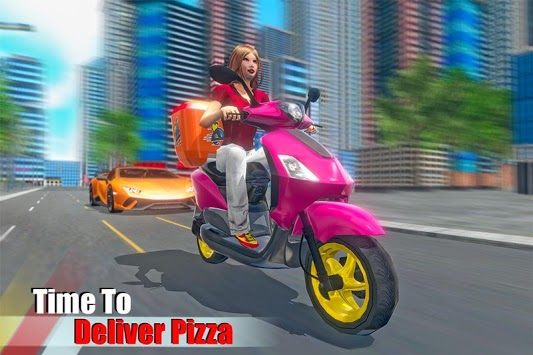 Just like a pizza delivery boy your 🍕 pizza delivery driver girl has to show bike driving skills and avoid motorcycle crashes if you crash the level will be failed in restaurant cooking games fast food rush. Be a cargo delivery rider with best driving and parking skills. Deliver parcels, gift boxes and other courier things in short amount of time in this driving simulator. Transporting expensive cargo is a demanding task that requires skillful driving and parking. In bike collection you will have top quality dirt bike, heavy moto bike, and super motorcycle range in garage. Typical delivery games for girls has interesting pizza delivery and transport missions. So get ready to play this restaurant game for pizza making and have food cooking games in many level.